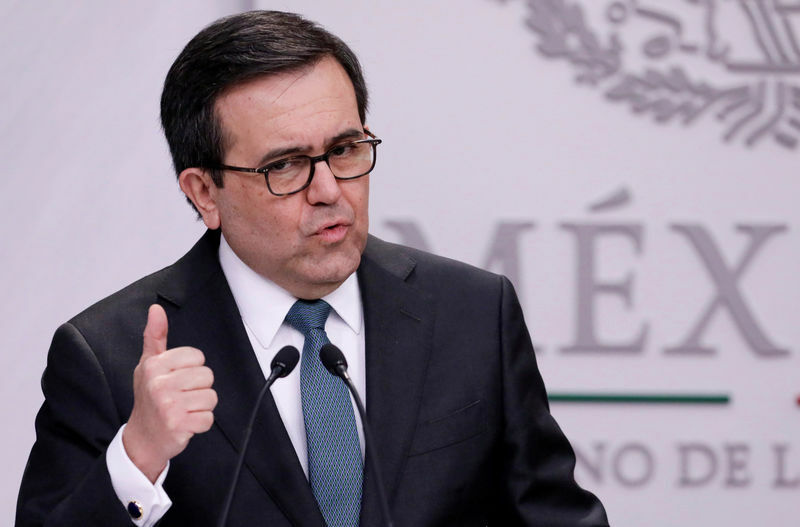 MEXICO CITY (Reuters) – Mexico’s economy minister said on Tuesday that he sees a better than 50 percent chance of reaching an agreement in principle on NAFTA this year despite escalating tensions between his country and the United States. “I would tell you that I see good probabilities that in the months that are left (this year)… we can reach a solution,” Economy Minister Ildefonso Guajardo said on local television. White House economic adviser Larry Kudlow said on Tuesday that President Donald Trump may seek separate talks with Canada and Mexico in a bid to get individual trade deals with the two countries. The Mexican peso fell to its weakest levels since February 2017 on pessimism about the trade negotiations. The United States, Canada and Mexico have been in months of negotiations to rework the North American Free Trade Agreement, which Trump has long criticized as having harmed the United States economically. Guajardo said the technical work of the negotiations, which began in August, is nearly done. All of the “sections, composition and architecture is ready,” he said. “What’s missing is the political will and the flexibility necessary to be able to close (the deal)”.